The subject Overtourism increasingly affects national parks. While biodiversity in the vicinity of the protected areas is steadily declining due to agriculture and impacts of the climate change, in parallel visitor pressure is rapidly increasing. 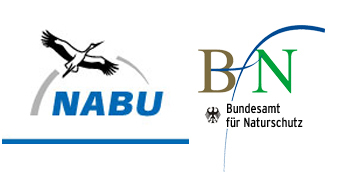 On this occasion, the Foundation for Nature and the Environment of the Federal State of Saxony has organized a workshop with international participants such as representatives of national parks. Development of a tourism development strategy for the city of Braunschweig together with local stakeholders on behalf and in close cooperation with the Berlin based tourism consulting company tourismus planB. On behalf of the Berlin-based consulting company TourismusplanB, a feasibility study for a new camper parking space in Sondershausen/ Thuringia was elaborated. Particular attention was paid to a natural design of the site with leisure and environmental education facilities, but also economic aspects for the municipality and local businesses (incl. recommendations for tourism product development and marketing). Advising tourism companies on product development, promotion, quality criteria, regional marketing and distribution, development of a destination management agency in Blidinje Nature Park. For this purpose, a visitor survey was carried out, furthermore value chain forums with local tourism companies have been performed. Further measures include the development of an interactive website for hiking tourism, a leaflet and the organization of environmental events with local communities in the nature park area. At the end of 2017, a study tour for local tourism experts from Blidinje to Germany was conducted. Currently, various guidelines are being developed together with local stakeholders, measures have been implemented in the field of waste prevention. For example, a waterproof waste bag for hikers was recently developed and designed (Blidinje Waste Bag) and presented at a press conference in Sarajevo. An info leaflet with an overview map of the nature park area will be completed soon. Furthermore, a 'Product Basket' with regional products and an umbrella brand for the nature park, which includes these local quality products, was developed in cooperation with local stakeholders. 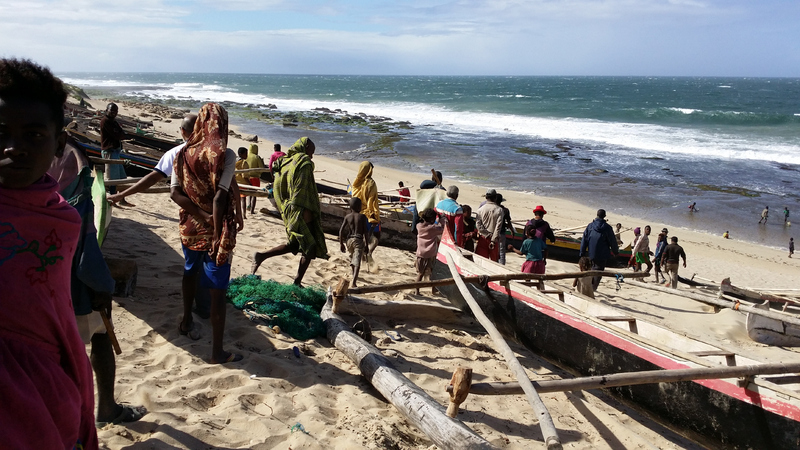 In a new regional development project currently developing proposals for food security and income generation for the local rural coastal population in southern Madagascar are carried out. In addition, constructional/ infrastructural measures, the fishing equipment, various types of traditional fishing boats, preservation and processing of fish and training of fishermen are also evaluated. Other activity areas include environmental and nature conservation, climate risk insurances and international cooperation with scientific institutions in the field of marine research. 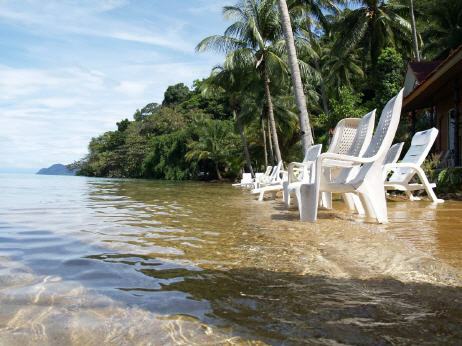 The Hot Seat - Can Tourism Be Sustainable? 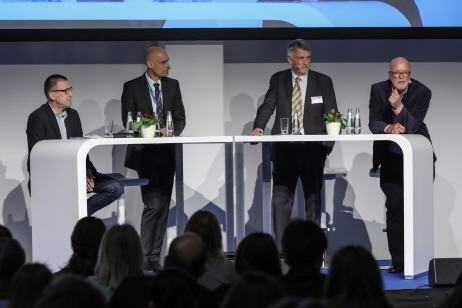 A new format at ITB Berlin, where topics are discussed controversially. 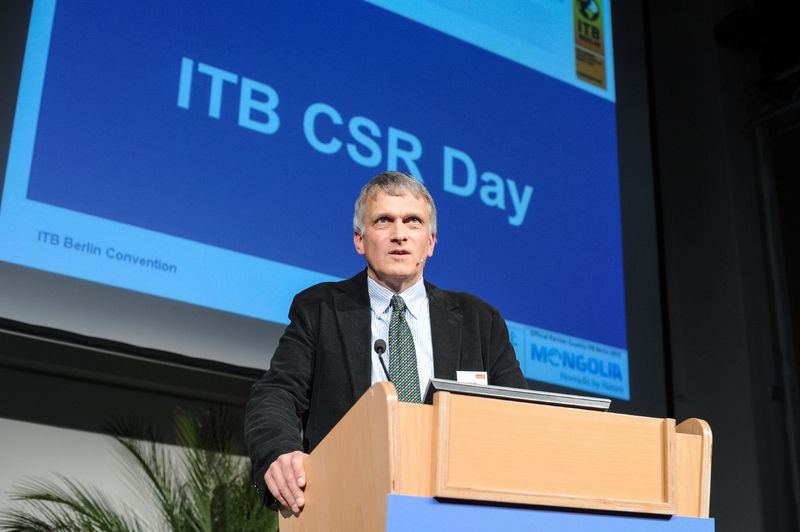 On the occasion of the opening of the ITB-CSR Day, this time it was about the question whether tourism can be sustainable at all. Prof. Niko Paech, economist and Michael Lutzeyer, owner of the Grootbos Lodge in South Africa and founder of the Grootbos Foundation, were invited to exchange their controversial opinions. 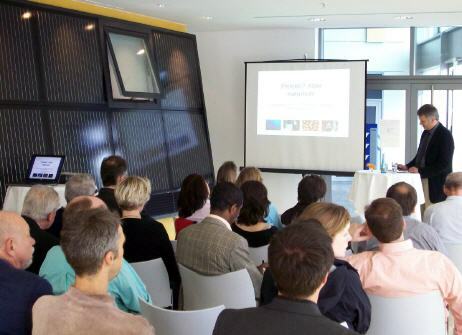 Services: Content preparation, identification of suitable candidates as well as moderation of the panel discussion. National parks depend on tourism revenues. While some well-known areas suffer from too many tourists and environmental damages, other areas urgently need more tourists to generate revenue locally. Where are the problems? Which solutions are available? And do revenues from tourism really return to national parks? 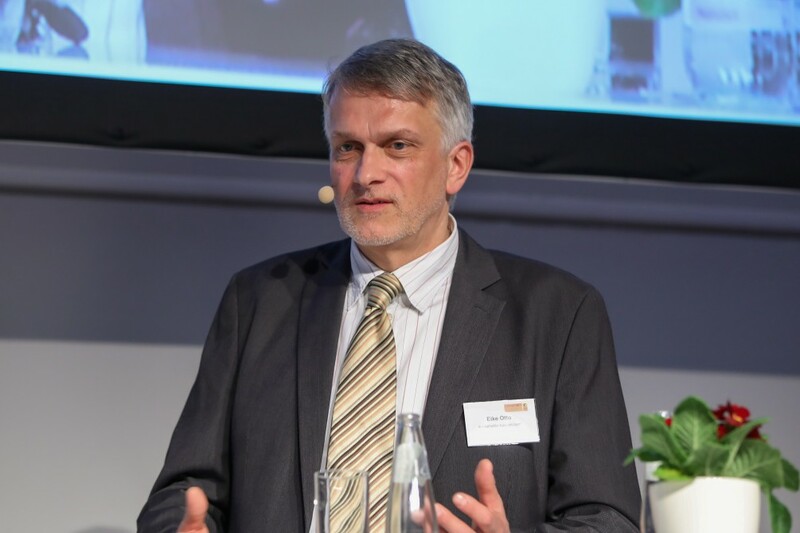 These and other questions were discussed by experts and national park representatives from Germany, Norway and Africa at a well attended event at the ITB 2018 in Berlin. 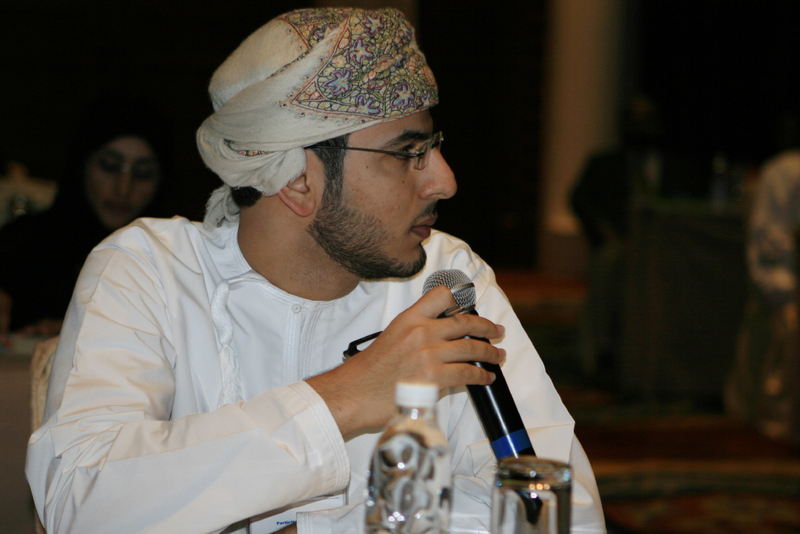 Services: Content preparation, identification of suitable candidates and moderation of the panel discussion. During the trade visitor days at the ITB 2018, local companies fro9m ASEAN countries presented their latest products to tour operators from the European source markets. 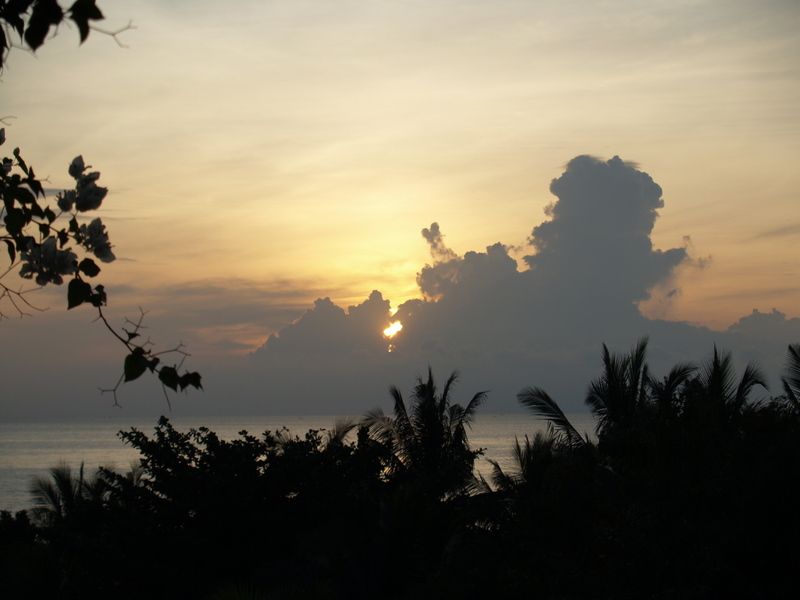 Services: Content preparation, coordination and invitation of tour operators. How does the sharing and collaborative economy influence the tourism labour market? Turkish decision makers in the tourism segment discussed impacts on the tourism labour market both in the EU and in Turkey on the basis of a power point presentation which was presented during an international Skype conference. 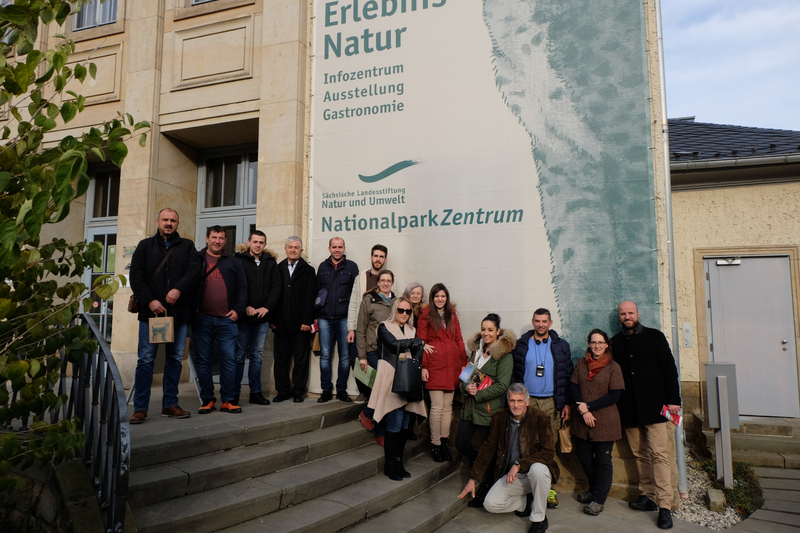 14 tourism experts from the Blidinje Nature Park in Bosnia-Herzegowina participated in a one week study trip to German nature destinations. 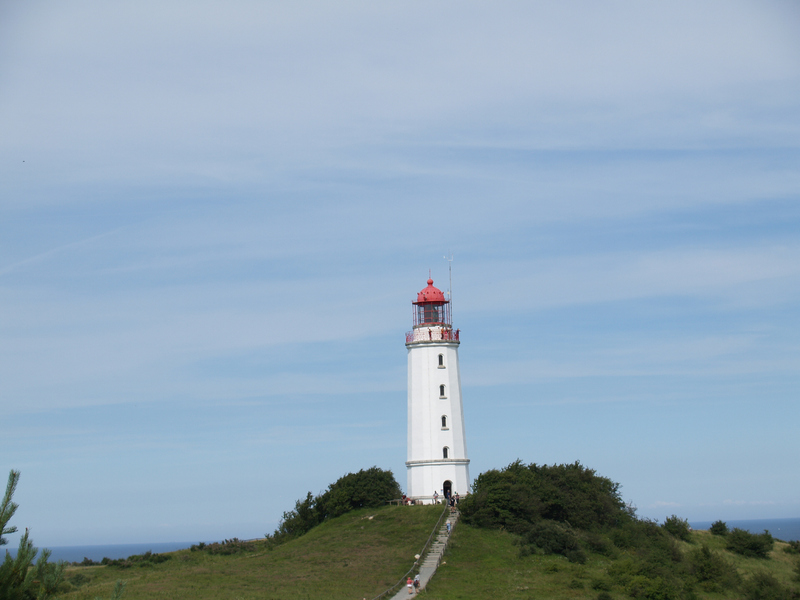 Among others, Zittauer Gebirge Nature Park, the Saxon Switzerland National Park and the Harz Nature- and National Park as well as local tourism companies were visited. The annual meeting of The Long Run took place in 2017 in the Grootbos Private Nature Reserve near Gaansbai and was impressively prepared and organized. 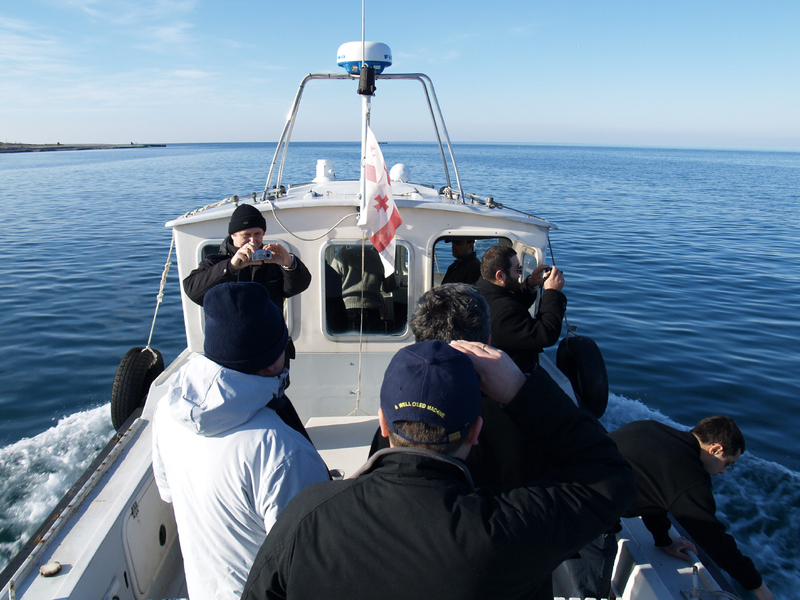 In addition to numerous excursions like a fascinating guided tour through the unique Finebos vegetation, different aspects of sustainability were explained and discussed. Another highlight was the official opening event of the Zeitz-Mocca Museum of African Art at The Harbour Front in Cape Town with an exclusive museum tour with Jochen Zeitz for the Long Run members. Presentation on practical examples and moderation of a working group with international participants on the topic perception and conservation of nature in different cultures. Regional hot spots and terror attacks are unnerving travelers and influencing customary travel patterns like never before. Asian travelers are avoiding Europe, while European travelers are remaining in their own countries or simply doing without travel whatsoever. Dwindling tourist figures are plunging destinations into deep economic crises, whereas destinations which are perceived as safe are experiencing an unexpected boom in tourism. How are travel patterns shifting and what changes are currently taking place on the touristic map of the world? Which security solutions and communication strategies will help stabilize tourism demand? Desirable tourism offers are rarely sustainable. Luxury is often associated with abundance and opulence. The global avant-garde’s understanding of luxury is becoming reconciled with the concept of sustainability, however. Modern, high-end offers are simultaneously desirable, physically spartan and authentic, as examples like the Long Run Initiative show. Will recipes for success expand to the rest of the market or are classical market laws in effect here for the long run? Should the German source market be better promoted? Portugal is an attractive and diverse tourist destination in Europe. Nevertheless, the German source market is currently playing a subordinate role. What are the expectations of German tourists? What current developments and trends can be observed in the German source market? What can Portugal do to attract more tourists from Germany? 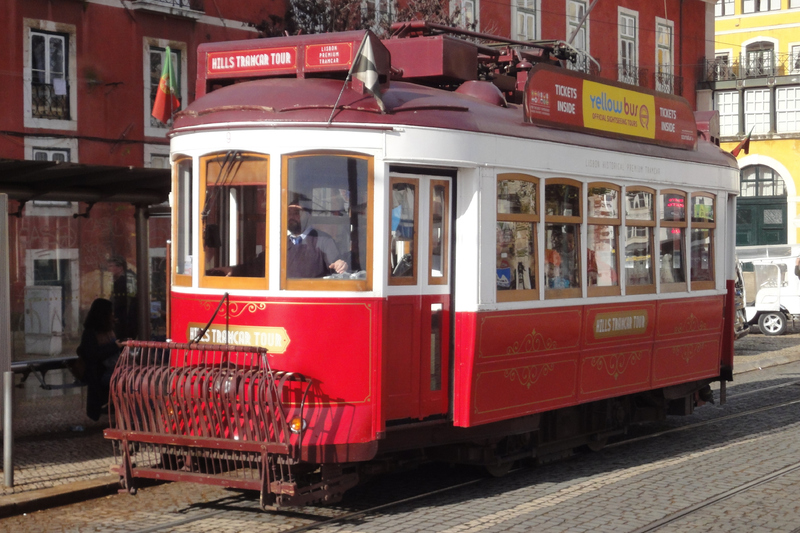 All these questions were discussed in January 2017 at a well-attended tourism workshop in Lisbon with representatives of the Portuguese tourism industry and the National Tourist Board. At present, a meeting with Portuguese tourism representatives in Mecklenburg-Western Pomerania is being prepared in order to deepen the knowledge gained with German tourism experts. 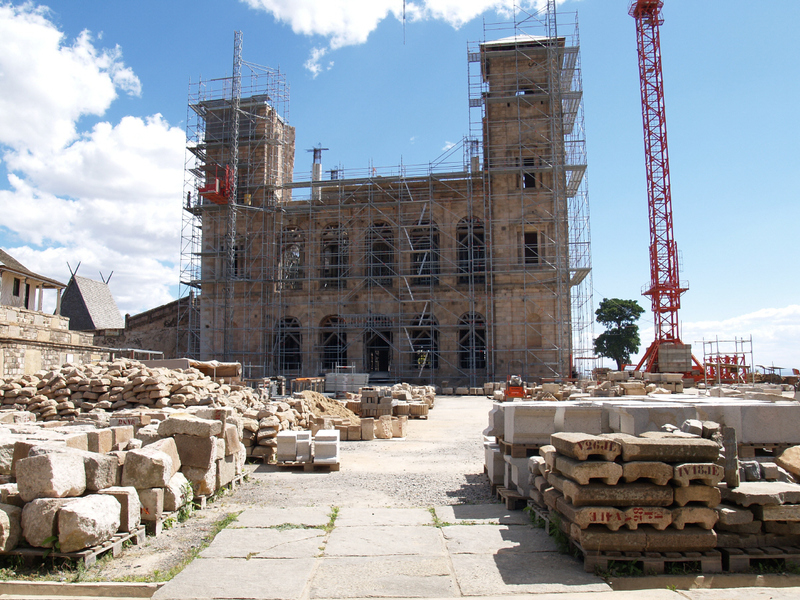 The project is carried out in close cooperation with Tourism Plan B in Berlin. Since October 2016: sustainable-tourism.com joins the organisation LTandC and will actively shape the work of this organisation in future. 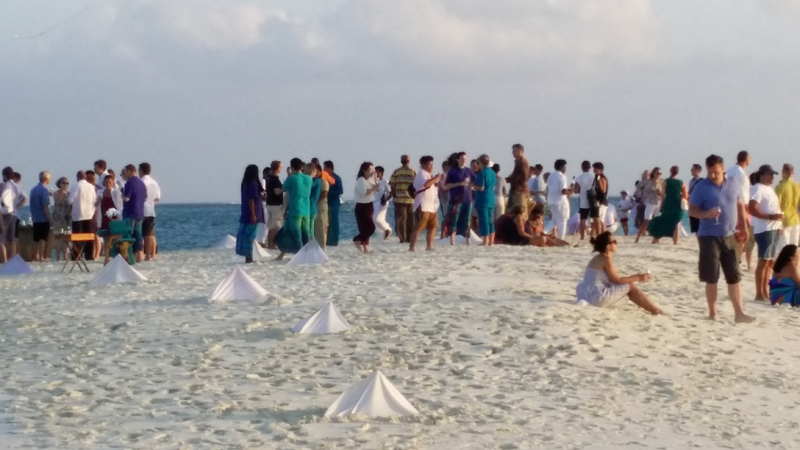 This year, the international TheLong meeting was again held by a member company, this time in the Maldives. The island of Soneva Fushi impressively illustrated how high-priced tourism can be reconciled with adapted construction methods as well as environmental and nature conservation. The owner of Soneva Group, Sonu Shivdasani, had already established Six Senses Hotels as a successful hotel brand for sustainable tourism. More than 40 companies from different continents, from the rain forest lobster to a manor house in Sweden, exchanged their experiences in sustainable tourism and discussed current challenges and problems. Consultancy services within the Pro-Invest GIZ project for the development for sustainable mountain tourism in Albania. 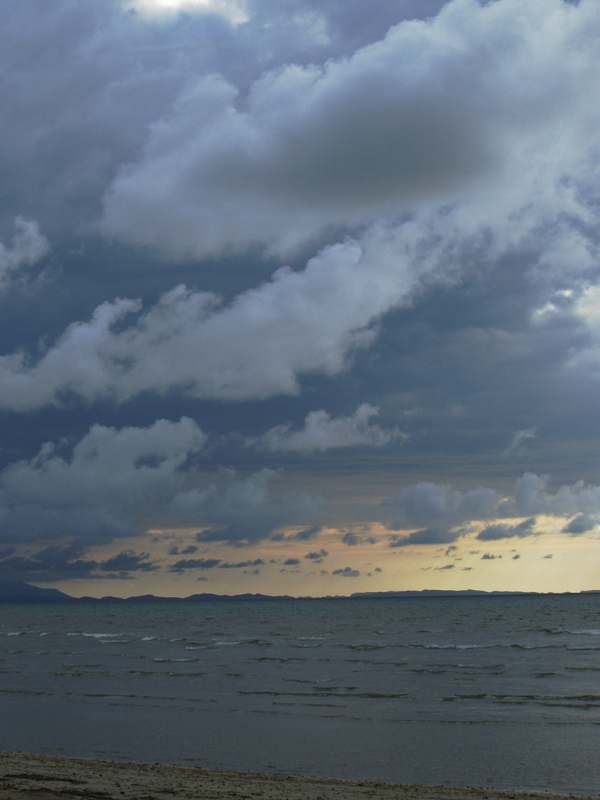 We are currently experiencing a dramatically higher level of potential danger in many tourist regions. How did tourism manage to develop after previous terrorist attacks? Will our future travel behavior undergo serious changes? Will travelers feel more secure in their own countries as opposed to participating in mass tourism in foreign countries? Will tighter (border) controls hinder tourism in the future? Will the population’s fears lead to a loss in the attractiveness of big events and cities? Or will tourists learn to live with a heightened security situation? 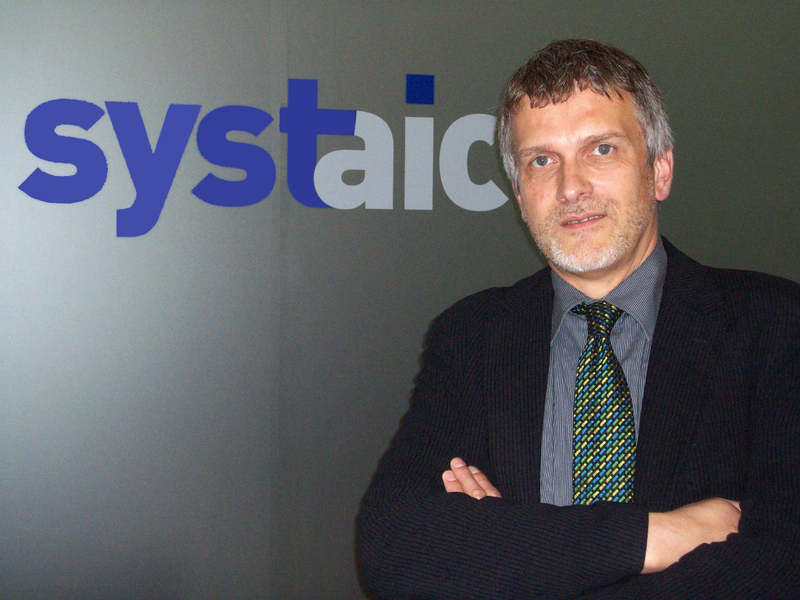 What lessons can be learned today from advance flight bookings for 2016? And last but not least: What measures can destinations take to make themselves more secure in such times of crisis? 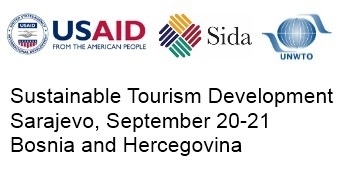 Trainings and advisory services for sustainable tourism measures (implementation level, incl. practical guidelines) within the Turkish Green Star Certification System in selected centres of best practise in Istanbul, Antalya, Adana, Izmir, Nevsehir (including mission to Ankara). Co-operation partners where business hotels and all inclusive holiday resorts in the four and five star segment. Just in time to ITB Berlin a new toursim promotion brochure which pouints out the ancient sikl road cities, but also the unique nature of the country, has been developed. The at the first time hand in hand with the brochure developed corporate design will be the basis for further presentation of the country as tourism destination. 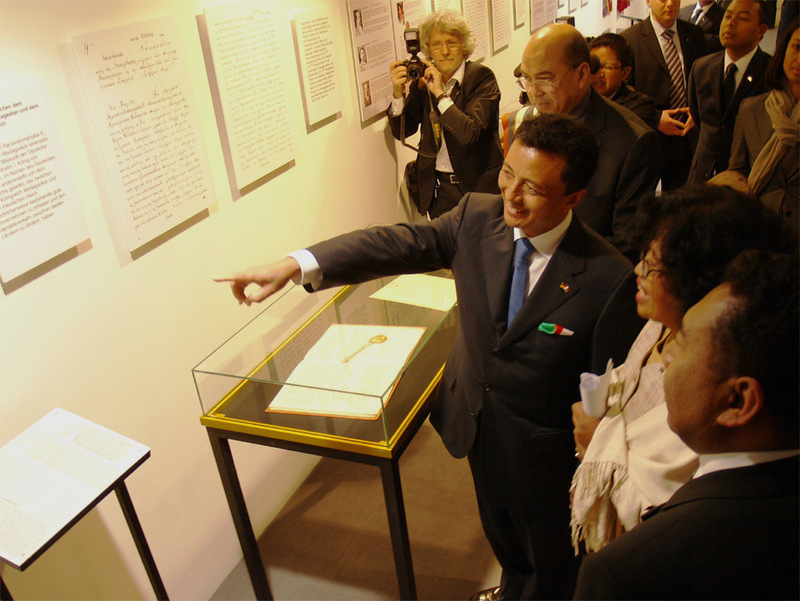 Additionally Uzbekistan was supported to implement the trade fair participation (incl. stand design) at ITB 2016 in Berlin while allready in 2015 several training workshops in tourism (e.g. service quality and sustainability in the hotel business) were carried out. TheLongRun is a leading global initiative for private nature conservation projects and sustainable tourism. 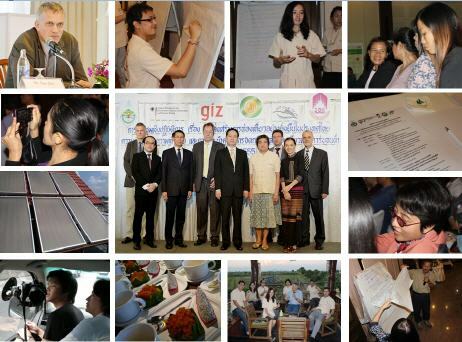 The purpose of this consultancy mission on behalf of GIZ (German International Co-operation) is to train moderators and afterwards trainees from the tourism industry to identify and implement strategies and measures for greening tourism value chains in Laos, the Philippines and in Indonesia. 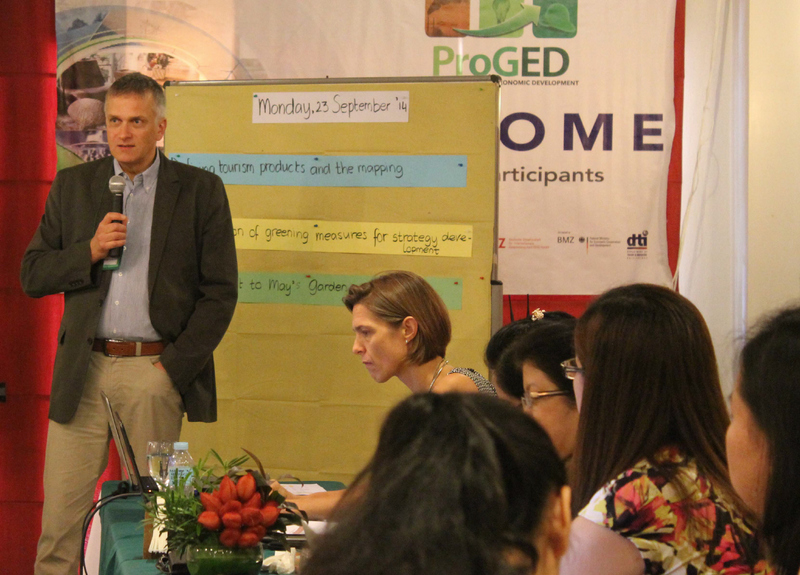 After two successfull trainings and workshops in Bacolod/ Negros Occidental in the Philippines as well as in Lombok/ Indonesia with representatives from the provincial and municipality level, NGO's as well as from the private sector (e.g. accommodation, food and beverages, scuba diving, transport, agriculture) a practice-oriented guideline is now available for other destinations. Participation in an international expert team for the preparation of the Annual Action Program for Uzbekistan in the field of agriculture and tourism. 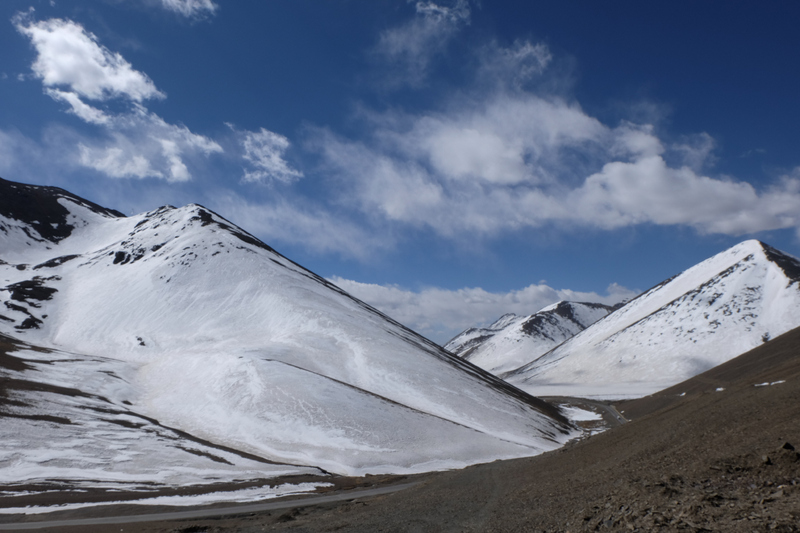 How can tourism be developed in a more sustainable way in the high mountains? Where do income effects appear for the local population? These and other questions where discussed at a high ranking roundtable-talk at the International Tourism Exchange (ITB) in Berlin. Chumbe Island in Zanzibar/ Tanzania counts among the leading examples for sustainable tourism worldwide. The project has been distinguished with many international awards and offers a fascinating atmosphere for nature tourists without relinquishing luxury and comfort. Chumbe is an excellent example that consistent enforcement of sustainability is compatible with an impressive holiday experience and even a high quality, luxury tourism product. During my first visit to Chumbe in 1992 the national language Kiswahili did not even have a word for "Coral". These were called "Mawe na Miamba", which means "stones and rocks". However, today the situation has changed completely. A team of conservationists, management and service staff is working in a very professional way to offer a high quality tourism product which, at the same time, contributes to protect the ecology on the island and implements environmental awareness raising measures for local people. It should not be forgotten to say that the Chumbe reef, which has been protected for over 20 years, is now one of the most pristine and biodiverse coral reefs along the whole African coast and thus provides an excellent snorkeling experience for tourists and Tanzanian people. The Kailash Sacred Landscape includes remote portions of the Tibet Autonomous Region of China and contiguous areas of Nepal and India. 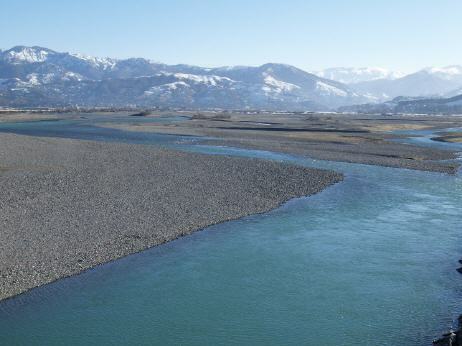 This area is historically, ecologically, and culturally interconnected, it is also the source of four of Asia’s most important rivers. Mount Kailash is revered by millions of people in Asia and throughout the world. However, haphazard and uncontrolled tourism development can cause irreversible damage to livelihoods, the vulnerable ecosystem and cultural and spiritual values of this remote part of the Himalaya mountain range. 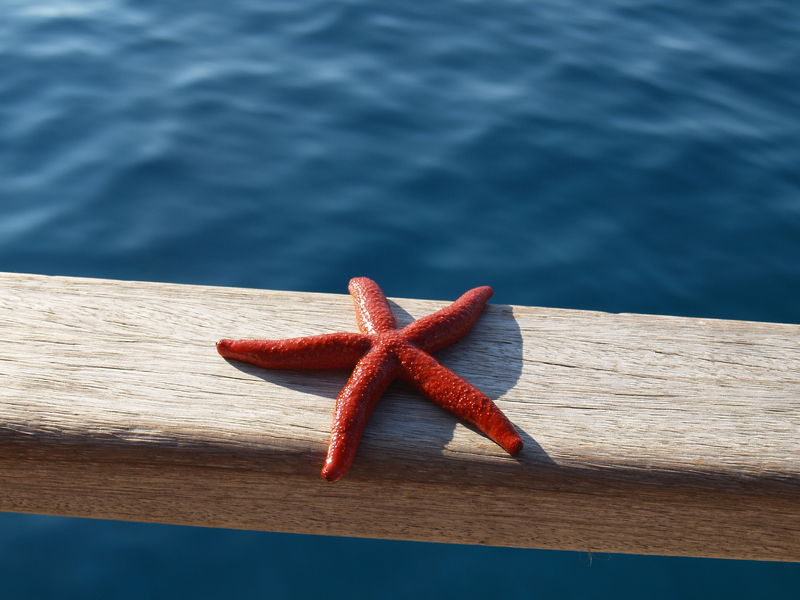 'All-inclusive' on land and on sea – can it be sustainable? Professional event at the CMT tourism trade fair in Stuttgart/ Germany at January 17th 2014 with representatives of the tourism industry, ecology and the development co-operation. 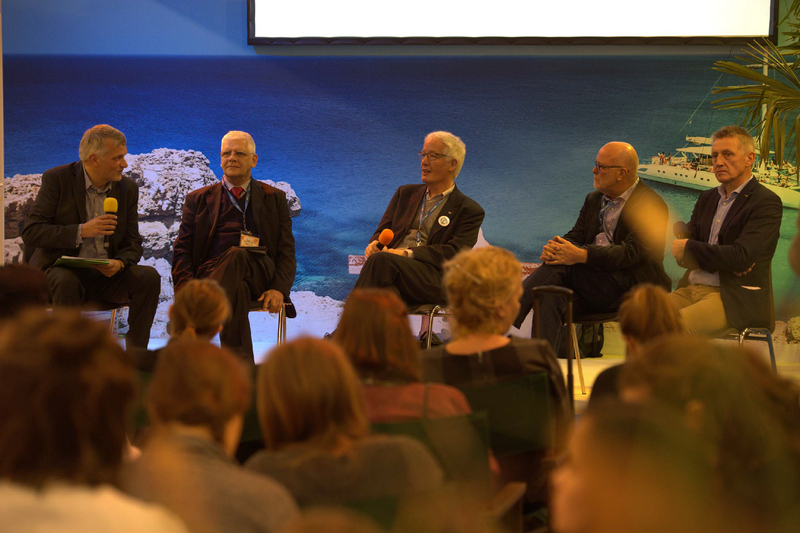 At the well visited event sustainability was especially discussed in the context of the cruise tourism industry. Thereby it turned out that positive examples for more sustainability are also available in the all-inclusive segment, even if this topic has obviously reached a few forerunners of the industry up to now. Beyond technical questions like energy efficiency, air pollution control, waste and sewage treatment a more sustainable management of visitor streams in the destinations will play a more important role in future. Sustainable tourism finally requires attractive tourism products, which are built on environmental and nature conservation themes and on social aspects. Eike Otto, project coordinator for the project "Sustainable Shore Excursions" with AIDA Cruises, the State Chancellery of Mecklenburg-Vorpommern and Futouris e.V. Organizer: Stiftung Entwicklungs-Zusammenarbeit Baden-Württemberg (SEZ), Deutsche Gesellschaft für Internationale Zusammenarbeit (GIZ) GmbH, Diözese Rottenburg-Stuttgart Hauptabteilung Weltkirche, Evangelische Akademie Bad Boll, forum anders reisen e.V. 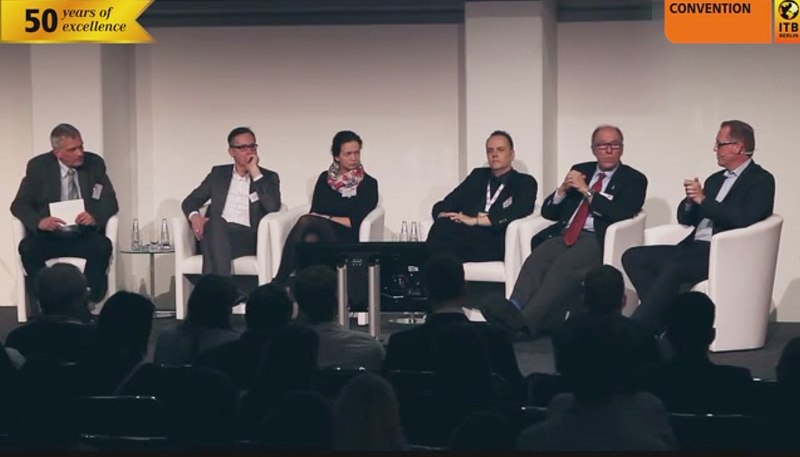 The panel discussed which significance sustainability has for tourism development in the Baltic Sea Region. Examples how elements of sustainable tourism can look like where highlighted and it was indicated how they pay out in practice. 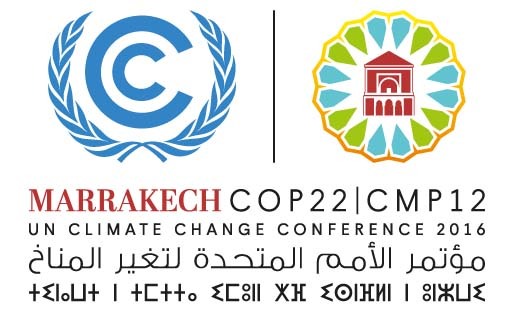 The objective of the Promotion of Green Economic Development (ProGED) Project is to improve the competitiveness of enterprises through the adoption of climate smart and environment friendly strategies. With the Department of Trade and Industry (DTI) as its implementation partner, the project will pilot activities in the tourism sector in the provinces of Bohol and Cebu, and replication in other parts of the country. 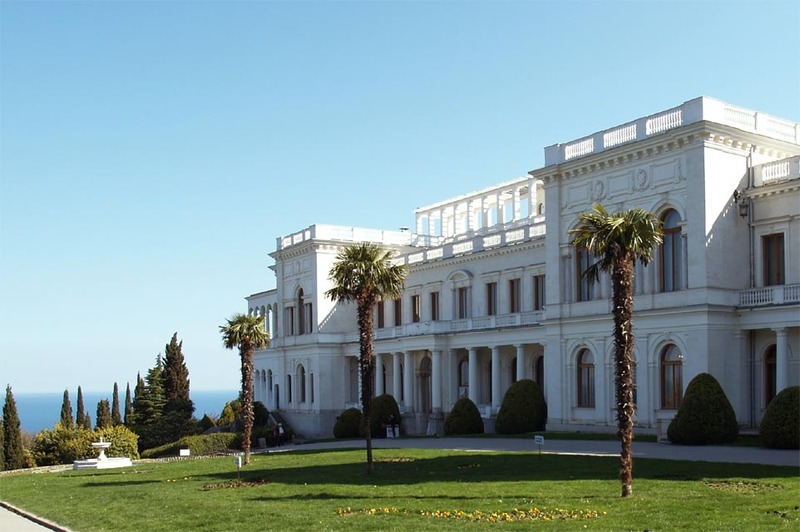 Within the framework of the EU co-financed Foreign Direct Investment Promotion Project tourism companies from Sevastopol/ Crimea will be supported to develop tourism products. The tourism potential, especially in the segments 'Culture', 'Nature' as well as 'Active and Adventure Tourism' will be developed after the demand of European source markets. Within the framework of an EU-project with GIZ: participation in the elaboration of a concept for initiating vocational training and quality enhancement in tourism in Turkey (including sustainability as an important aspect). In November 2012 a workshop series on the topic 'energy efficiency and climate friendly destination management' was conducted in co-operation with tourism organisations and companies in different tourism destinations of Thailand. During the workshops experiences and joint solutions where discussed. The high number of participants and the big interest of the Thai media was remarkable. 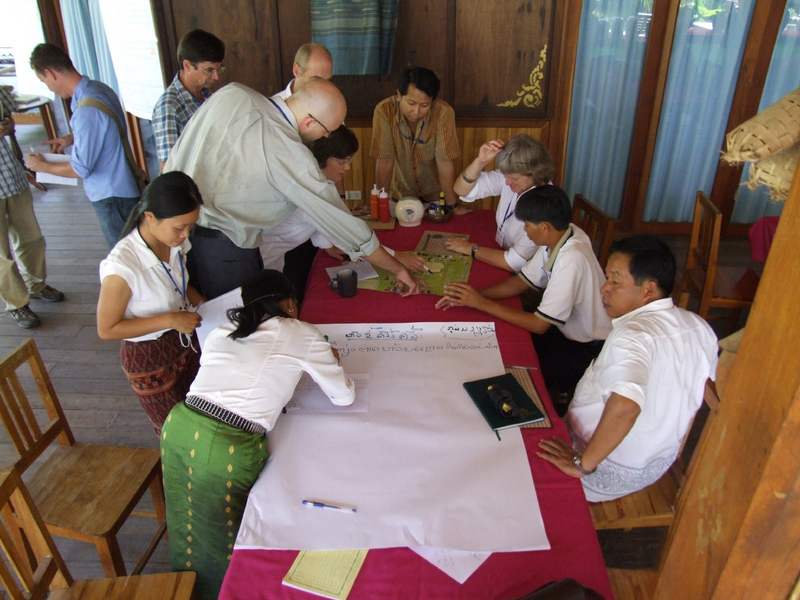 In April 2013 an additional training seminar was conducted in the northern Thai Province of Nan. The aim of the study was to evaluate tourism websites of different destinations and travel agencies in the Baltic Sea region and to provide recommendations for common synergies. The results was presented and discussed at the international conference of the Baltic Sea States "Building a Baltic Sea Tourism Region" in Rostock Warnemünde (Germany). The study was conducted in co-operation with Projectm in Berlin. Together with chambers od commerce and business organisations, key areas of economic development and unique selling points where indentified for selected areas in Bosnia-Herzegowina. Among others, the exchange with appropriate partner organisatiions in Germany was initiated, furthermore concepts and measures in the field of regional development are planned to be developed. 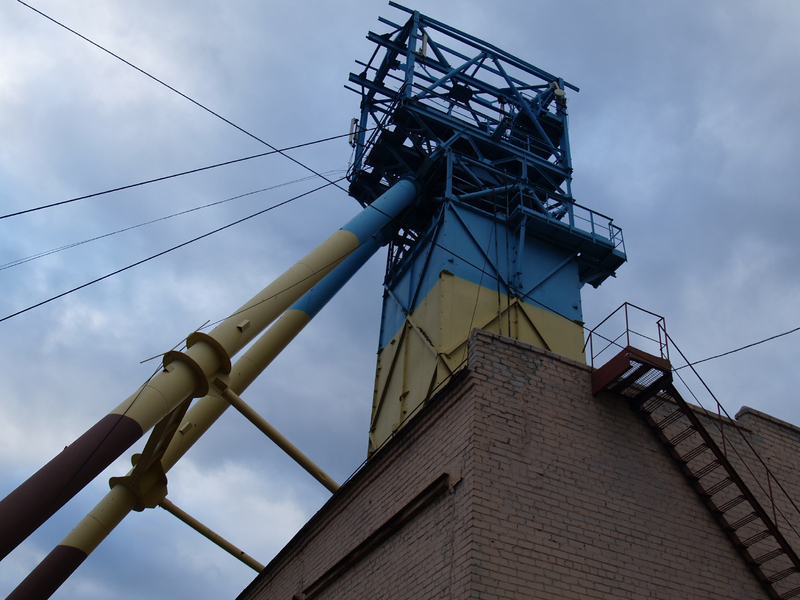 The project covers metal- and wood manufacturing and agriculture in the context with tourism. 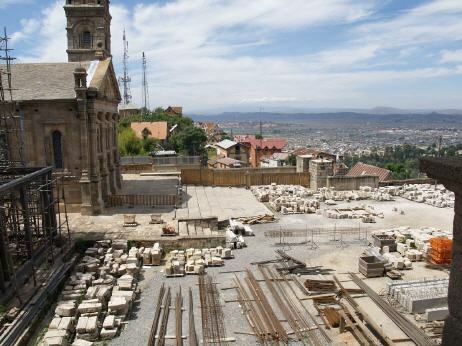 Is Azerbaijan prepared for tourism? Can the old Sowiet Sanatoriums be modernized? The Committee on Eastern European Economic Relations in co-operation with German International Corporation (GIZ) and the local ministries for tourism and for economy organised a conference on recent developments in health tourism. On this occasion, the new guidebook for health tourism development of the German Ministry for Economy was also presented and discussed. More than 70 participants from the tourism business, politics and from the press joined the conference, which took place in the seaside town of Evpatoria. 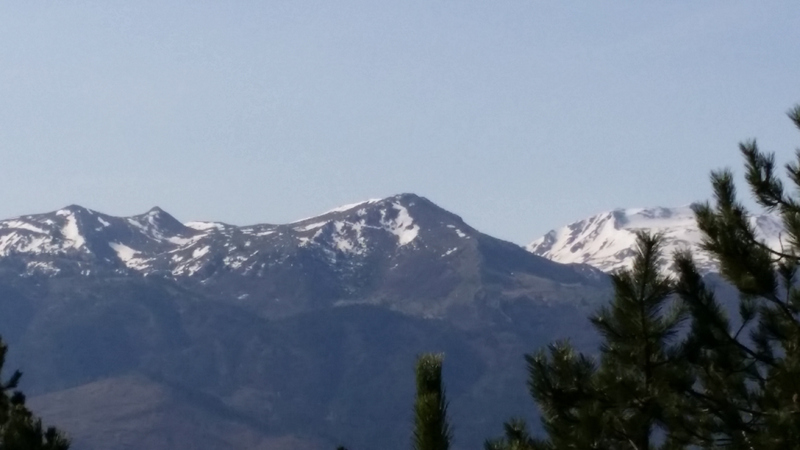 The Prokletje mountain range at the border between Montenegro, Albania and Kosovo is one of the last not entirely discovered mountain landscapes in Europe. 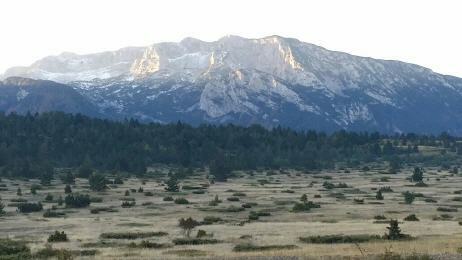 The aim of this mission was to compile a tourism development study for the area of Prokletije National Park under the perspective of a protected area in close co-operation with local stakeholders. 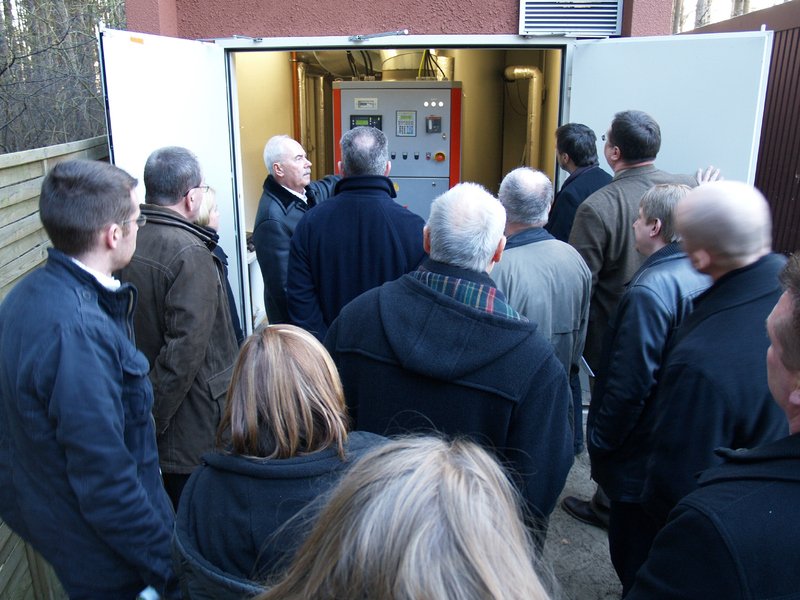 day full of energy in Oberhavel" was the motto of a business and press trip within the EU co-financed SETCOM project, where 10 communities of 10 European countries are searching for new approaches in energy efficiency and renewable energy in tourism. Though it became clear: energy efficiency and renewable energy make sense, especially in the hotel- and gastronomy sector. Many of the visited entrepreneurs are willing to increase their investments in this issue in future. Further product innovations in renewable energies were presented, such as a new technology, which enhances the efficiency of solar panels by cooling, or installations, which are able to either cool or heat by using geothermical energy. How can national parks generate income? 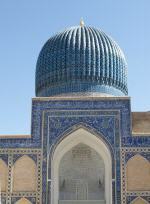 Uzbekistan is the country at the Silk Road and the country where the novels of the Arabian Nights where written. 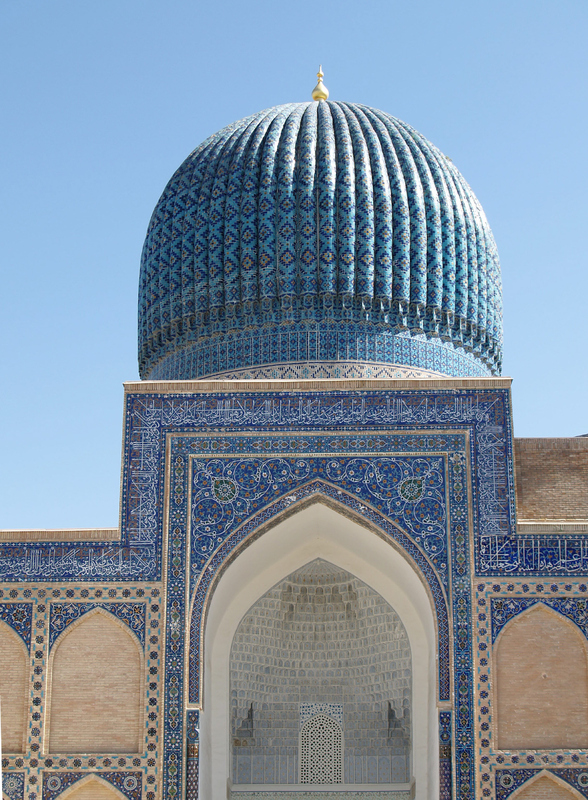 How can the destination Uzbekistan be positioned in future? Which steps have to be undertaken in terms of tourism development? Which target groups seem to be appropriate and which demands do they have? These and other questions where discussed in two workshops in July and in October 2010 with stakeholders from ministries, tourism organizations and tourism entrepreneurs. The workshops where arranged by the Chamber of Commerce in Tashkent in co-operation with Inwent - Capacity Building International and Applicatio Training and Management GmbH. 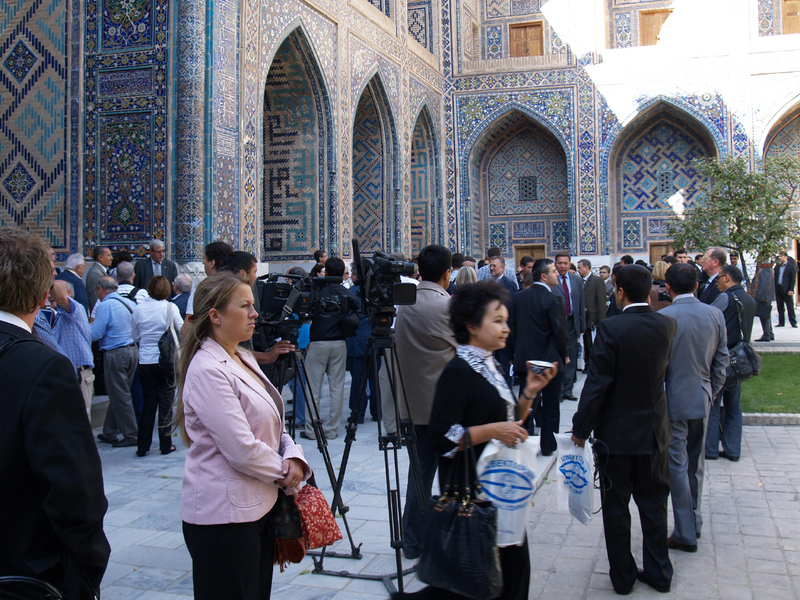 After the event, which was highly recognized by local media, all participants came to the conclusion, that Uzbekistan has much to offer, although it is rarely known as tourism destination. The unique and fascinating architecture, monuments and the rich history are already attracting tourists from all over the world. Tourism representatives of 26 countries along the Silk Road took the first steps towards adopting a new Silk Road Action Plan. 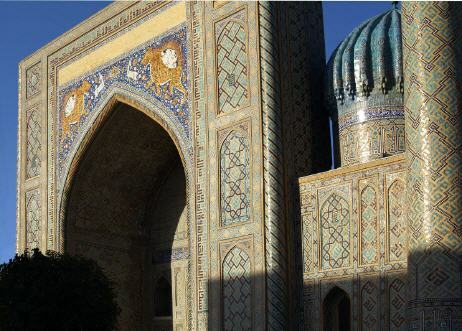 The meeting under attendance of UNWTO Secretary-General Taleb Rifai took place in the impressive buildings of Registan square in Samarkand/ Usbekistan, which are listed as UNESCO World Heritage site. 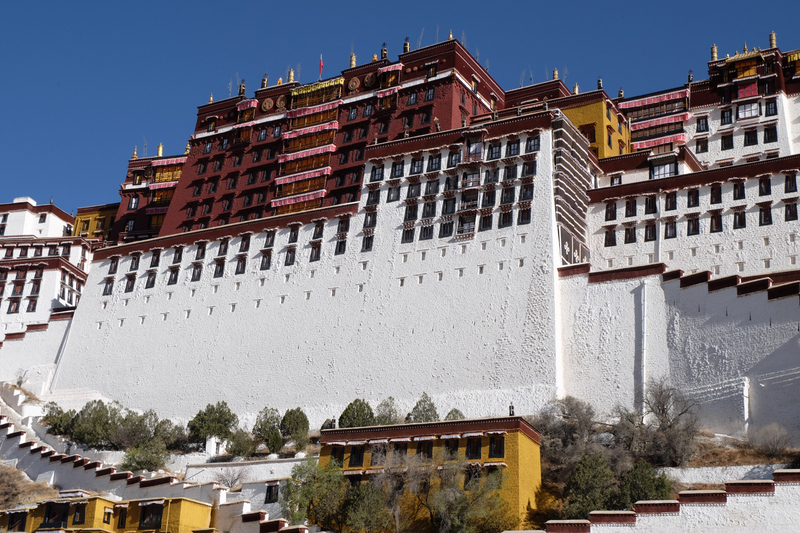 Eike Otto was invited to join a journalists trip and to held a presentation about options for the development of sustainable tourism products along the Silk Road. 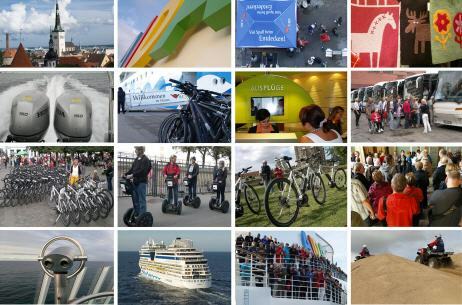 In September 2009 a delegation, which was accompanied by the minister for economy and the minister for tourism of the Autonomous Republic of Crimea, visited Berlin and the Federal States of Brandenburg and Mecklenburg-Vorpommern. The group met Minister Seidel, Ministry for Economy, Labor and Tourism of Mecklenburg-Vorpommern, Mr. Methling, city major of Rostock and other tourism professionals, such as from hotels, museums, tourism associations and scientific institutions. 'What comes spontaneously to your mind about Crimea?' This question was recently asked in an online survey at sustainable-tourism.com. Expectedly most participants named in particular the famous Crimean sparkling wine. However, the Yalta conference, which took place 65 years ago in the Liwadjia Palace, was most frequently mentioned. Forset shares and the Climate Cube (www.waldaktie.de) nowadays became a brand mark for climate friendly tourism in Mecklenburg-Vorpommern. 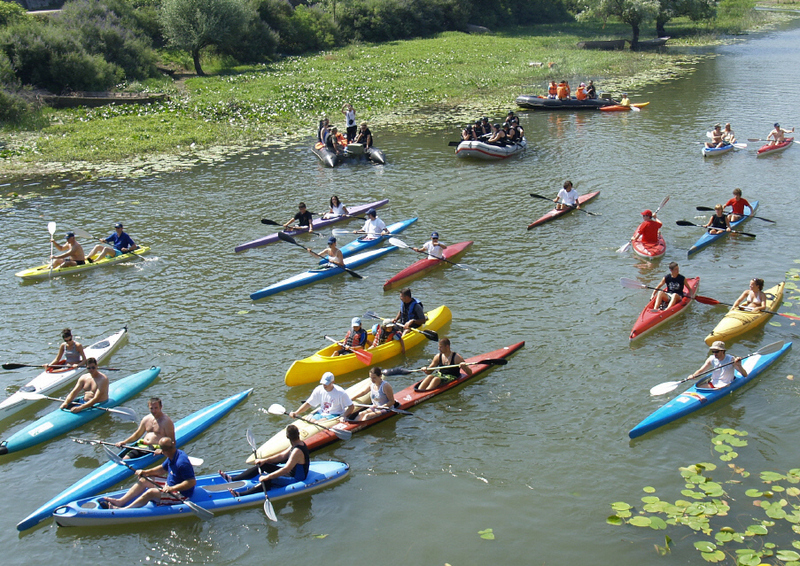 Now they will be implemented in Bosnia-Herzegowina, a developing tourist destination in the early stages. 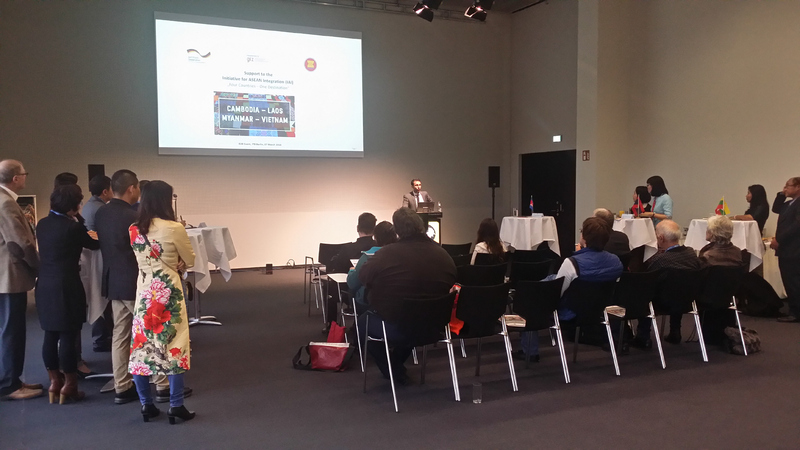 The kick off event was at March 12th in Berlin at the ITB (International Tourism Exchange) at the Mecklenburg-Vorpommern booth. 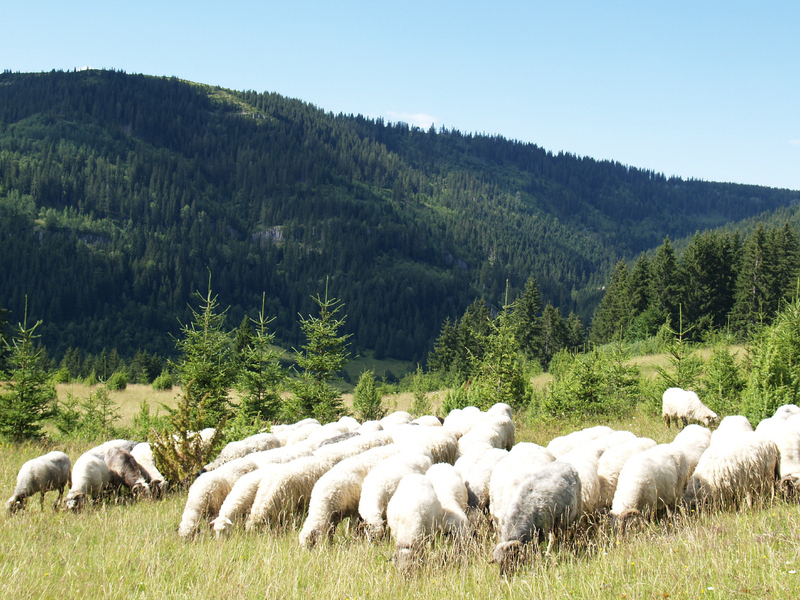 The Minister for Environment and Tourism of the Federation of Bosnia-Herzegowina, Dr. Nevenko Herceg and Till Backhaus, Minister for Agriculture, Environment and Consumer Protection in Mecklenburg-Vorpommern will launched the common project. How about the German Clay Route? 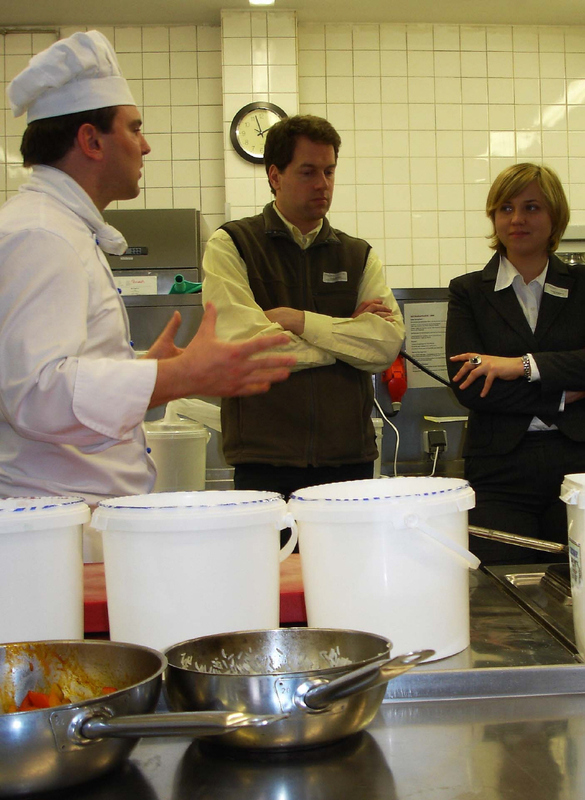 Renewable energy and energy efficiency are becoming increasingly important in the gastronomy sector. 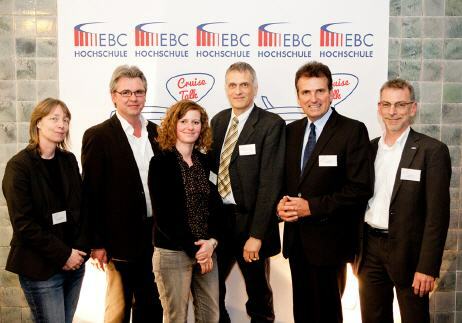 But where and how can energy be saved and how can suche measures communicated in a successfull way to the end consumers? These and other questions were raised in Berlin at a high ranking expert workshop in February 23rd. 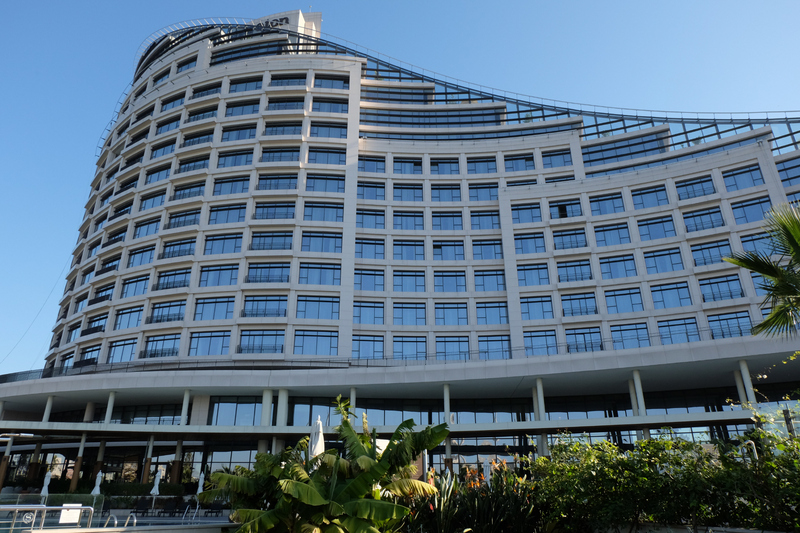 The outcome was: despite increasing charges, electric-, gas- and watermeters are still not enough in the mind of the hotel and gastronomy sector. However, the energy saving potential can be enormous: the amount of energy and water consumption in well managed enterprises is about 50% below average. However, new and expensive technology is not the only solution. Small and easy implementable measures which often even do not need any investments can help to save energy and water drastically. And, once informed about these measures, the guest will appreciate environmentally friendly management in the business. The Crimea peninsula, often also called the 'Russian Mallorca', is facing a substantial decrease in tourism due to the world economic crisis. However the peninsula has several opportunities for tourism development beyond just "sun and beach", which is not yet developed and marketed. The rich cultural heritage, a unique landscape and, last not least, the worldwide known Crimea Champagne, whis is growing in a unique landscape, are just some examples. 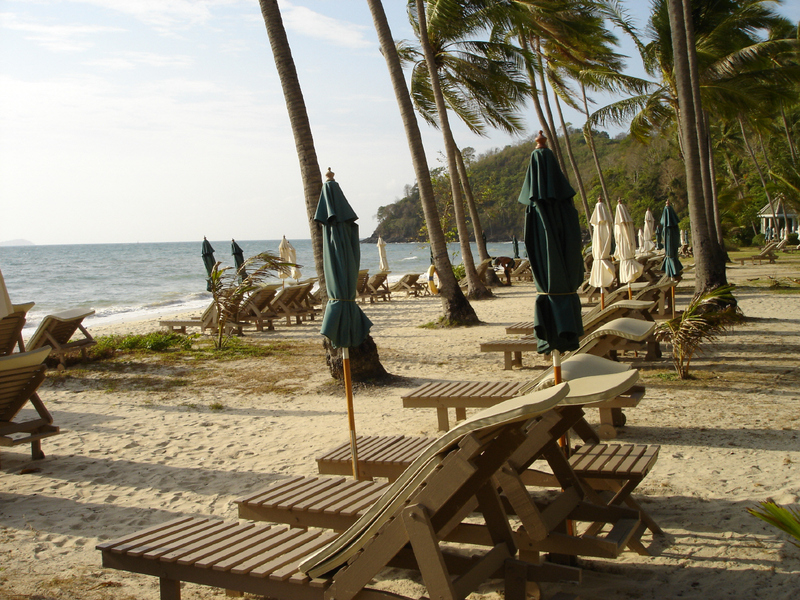 Does the economic crisis has an impact on tourism? 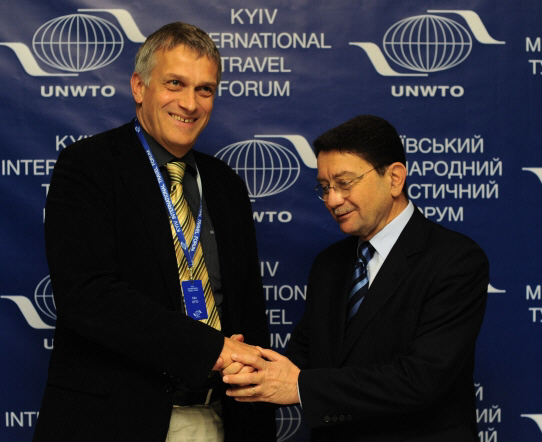 The German Technical Cooperation (GTZ) in Sarajevo supports the communities Visoko and Travnik in the development of sustainable tourism in order to contribute to regional economic development. Currently the tourism development potential is analysed and measures in the fields of product, communication and management are in discussion with the project partners both from the public and private sector. Masterplanning and mission development, visitor guiding and tourism infrastructure, urban design and open spaces, tourism service and -information, tourism marketing and -promotion, nature- and environmental conservation (including energy efficiency) as well as qualitfication and training measures. 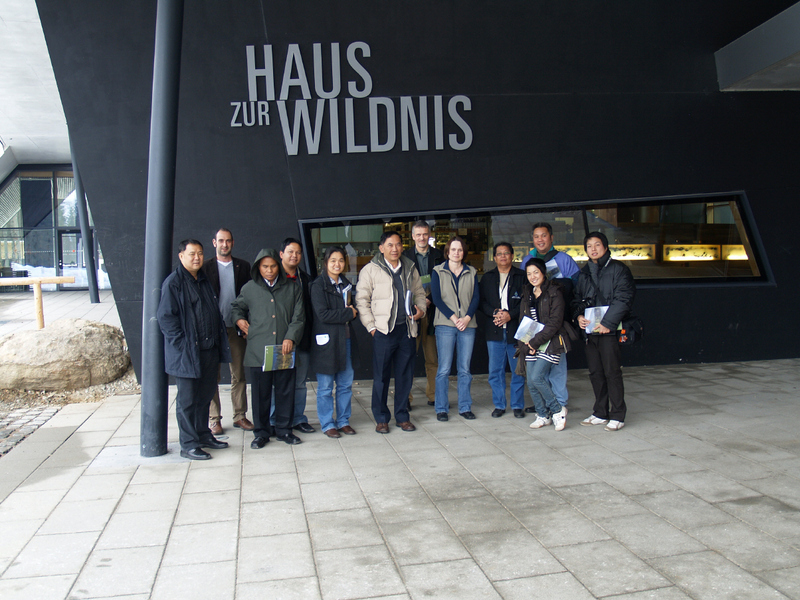 In March 2009 experts from Ko Chang region were invited by GTZ to join a delegation visit to Bavaria. 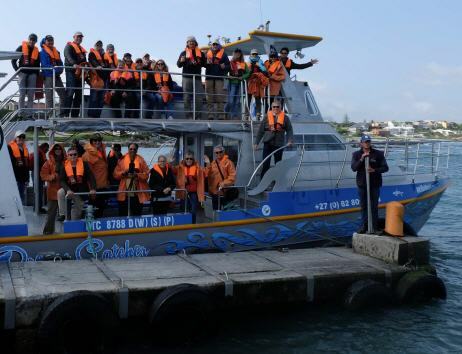 The trip was organised within the framework of the international climate protection initiative of the German Federal Ministry for the Environment. Information gathering, networking an the support during conferences and congresses are the main topics of a new assignment on behalf of the sectoral project Tourism and Sustainable Development of GTZ. The main themes thereby are: tourism in the context with economic development and poverty alleviation, sustainability standards, nature protection, energy efficiency, destination management and climate change. 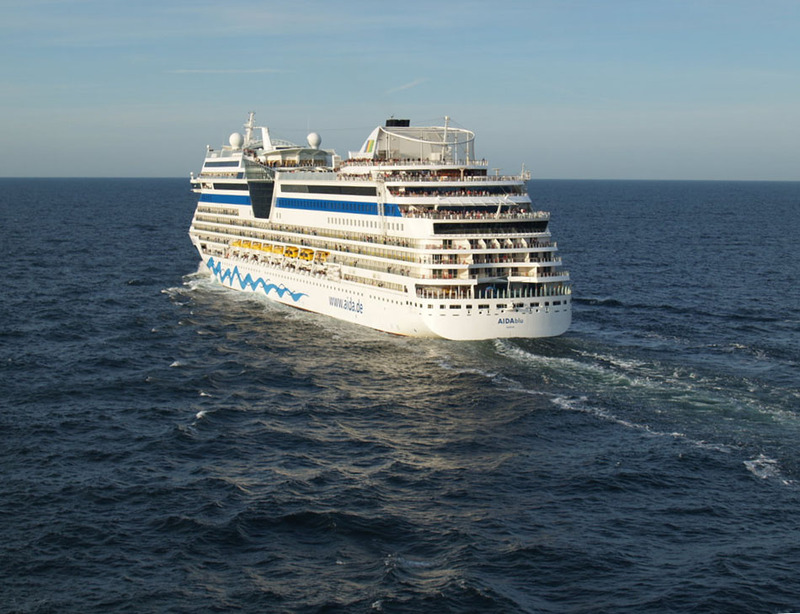 Cruises are becoming more and more popular and today even affordable for average incomes. Dreamliners and their crew are gleaming in white splendidness. But how about the clean record of these swimming hotels? Should carbonate dioxide compensation programmes be offered for cruise ships, as allready common in the airline business? A survey on sustainable-tourism.com showed a very clear result: the tourism industry should, beside air tickets, also offer climate compensation programmes for cruises. Eco cruises, with environmentally friendly technology, an energy efficient management and meals from organic farming, just a future dream? 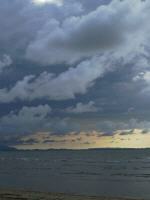 Climate friendly on the Ocean soon? 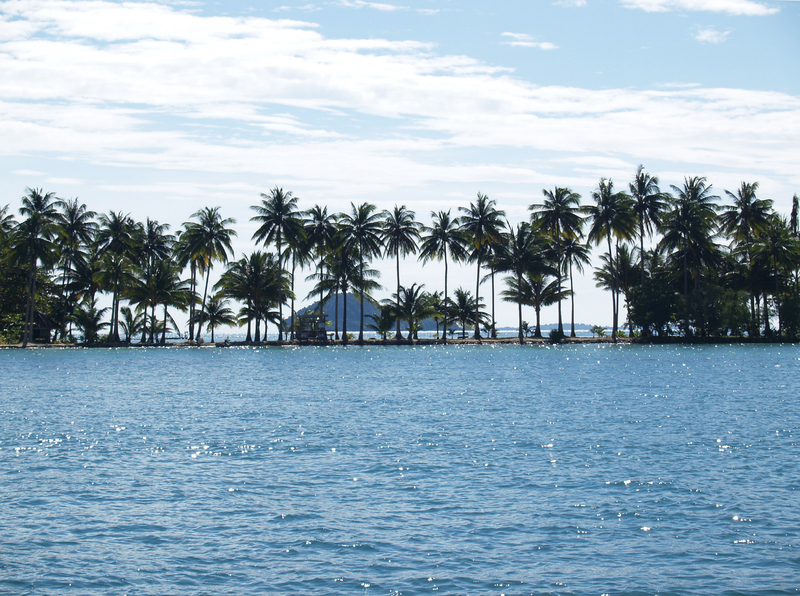 On the example of the tourism masterplan for Ko Maak/ Ko Chang islands in Thailand climate protection measures where discussed and developed in close cooperation with local stakeholders. If you are interested in more details about the workshop "Destination Management and Climate Change" in Bangkok please do not hesitate to contact me! 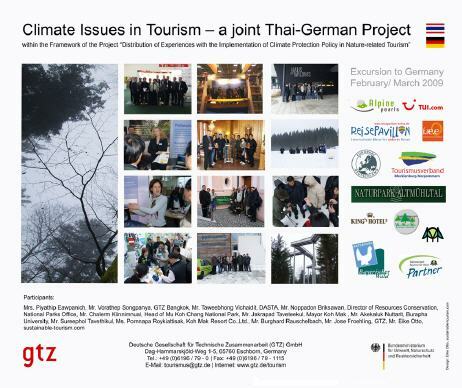 The sectoral project "Tourism and Sustainable Development" of the Deutsche Gesellschaft für Technische Zusammenarbeit (GTZ) aims to support partner countries to use the potential of tourism for sustainable development and to mitigate ecological and social risks of tourism. A new flyer, which has been designed recently provides an overview on the sectoral project. Are Solar Panels interfering with Tourist Regions? Solar panels - new solutions for toruism destinations? As a matter of course this question may not be seriously raised for new hotel buildings or holiday centers. Energy is expensive, tourists are becoming increasingly environmentally sensitive and due to impending climate change sustainable energy technologies will become self-evident very soon. But how about the use of solar energy in tourism destinations, which are unique because of their idyllic landscapes and historic buildings?Do we have to fear, after the "asparagusation" of the landscape by wind generators the "mirrorisation" by solar panels? Would the authenticity of those unique destinations, which consider an increasing tourist demand, be abandoned? A recent survey on sustainable-tourism.com showed apparently different opinions regarding this question. Admittetly it has to be pointed out, that nearly everybody was appealed by this question. The answer-box "I don't care" of the survey remained nearly empty. Nearly half of the answers indicated, that solar panels are basically not interfering with tourist destinations. The other half participants of this survey claimed not to install such technology on historic buildings, while solar panels in idyllic rural regions would be acceptable, however it was mentioned that the particular case should be carefully taken into consideration. products, from solar boats to the "designer solar panel". The blue and glittery patchwork on some rooftops might be than possibly a thing of the past quite soon. And how about a solar interpretation trail for tourists? Possibly even a solar edutainment center? 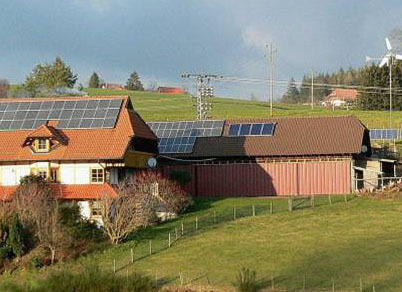 Or Germanys first solar-Hotel? Manyfold options, but somebody has to take the challenge! It started with CFC-free refrigerators, today climate protection affects nearly all products, from the beer crate to energy production. But: well-meant is not meaningly well done and well done unfortunately is not always well-meant ... How is the tourism industry doing? Are German travel agents enough dedicated to climate protection?An online survey on sustainable-tourism.com recently showed, that german tour operators should do much more in for protecting the climate. After all, almost a quarter of the answers acknowledged that german tour operators are engaged in this field. However, the question about examples or known best practices almost remained unanswered. Fees and environmental taxes where considered by the majority as most acceptable to ensure financing of activities in climate protection. More than 75% of the participants in the survey stressed, that they would agree to pay a higher price for environmentally friendly tourist products. Taxes for the financing of conservation projects or for more environmentally friendly infrastructure, however, met less approval. 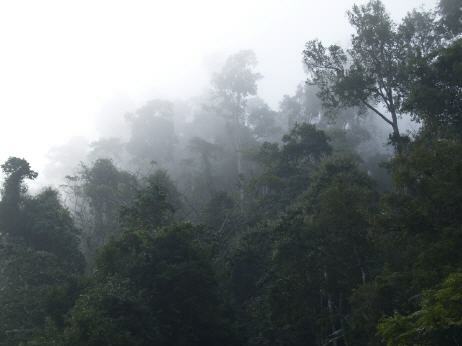 Result: tour operators should handle climate protection efforts much more offensively. "Do best and talk about", this well-known idiom seems to match again. The question about the climate impact of a hotel swimming pool might influence the buying decision in future, as it allready does in the automotive sector, where the Co2 expulsion of cars has become meanwhile an important purchase factor. Who would have predicted that some years ago? The state owned tourism organisation OMRAN organized ia workshop in February 2008 on coastal zone management and sustainabillity in tourism in co-operation with Berlin-Consult. Representatives of the Ministry for Tourism and from tourism enterprises and organizations attended the event. 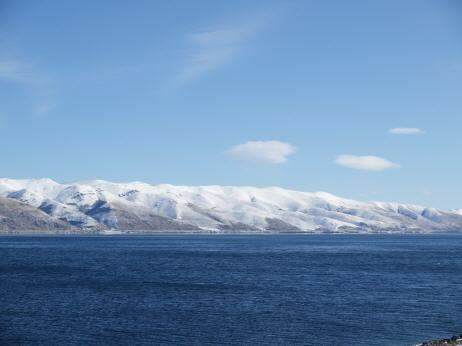 The former so called "Russian Riviera" today is a sun and beach destination for tourists from Georgia and surrounding countries, such as Turkey and Armenia. However, Adjara has much more to offer: remote valleys with ancient stone bridges or, for example, the fascinating history of Batumi, the harbour city, where the Nobel company produced the first oil tankers of the world. A theme Museum shows impressively the history of the town, from the Rothschild clan, Chinese tea farmers who brought the tea to this part of the world to the various nations, which established consulates and embassies during the times of the oil boom in Batumi. Today, the Adjaran coast with its numerous bird sanctuaries faces a never experienced building boom, which requires immediate and target aimed development plans. 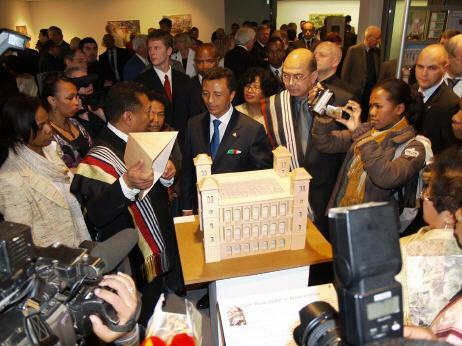 On the occasion of a meeting between the German Federal President and the President of the Rebuplik Madagascar a German Malagassy co-operation project between the foundation of Prussian castles and gardens and the Malagassy National Heritage Comittee was launched in order to exchange experiences, to establish networks and to develop cultural tourism projects within the Rova Palace area in the Malagassy capital Antananarivo.